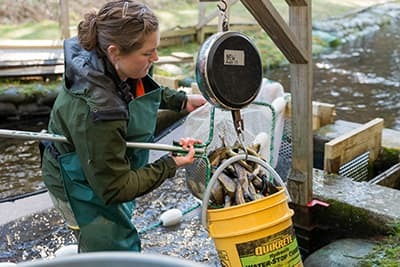 Maine's fish hatchery program was first established in 1895 and the Department of Inland Fisheries and Wildlife currently operates 8 fish culture stations as well as a fish health laboratory in Augusta. 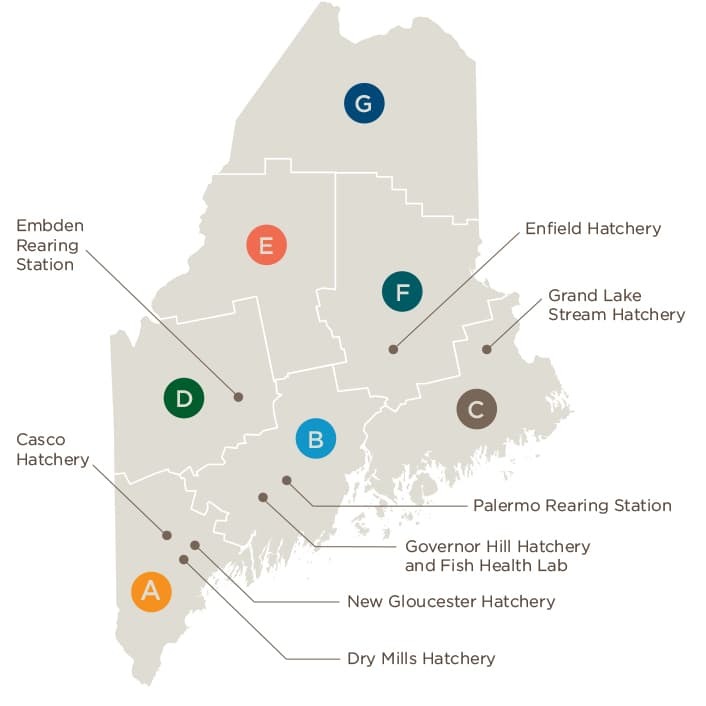 Each year, the hatchery program produces over 1 million fish (that's nearly 375,000 pounds) including brook trout, brown trout, rainbow trout, landlocked salmon, splake and lake trout. During the spring and fall, the Department stocks over 800 waters with high quality fish to sustain our freshwater fisheries for generations to come. Fish stocking in Maine provides a total economic impact of tens of millions of dollars each year in the state of Maine, resulting in a huge return on just a 3 million dollar annual investment from fishing license sales.